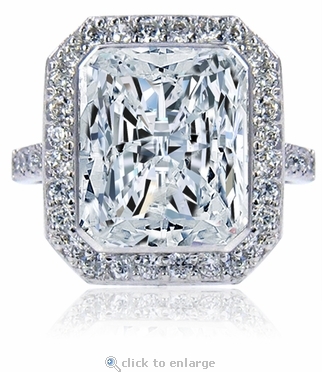 The Ainsley Bezel Set Cubic Zirconia Radiant Emerald Cut Pave Halo Solitaire Engagement Ring features a stunning 7 carat 12x10mm radiant emerald cut diamond quality cubic zirconia center stone set in 14k white gold. 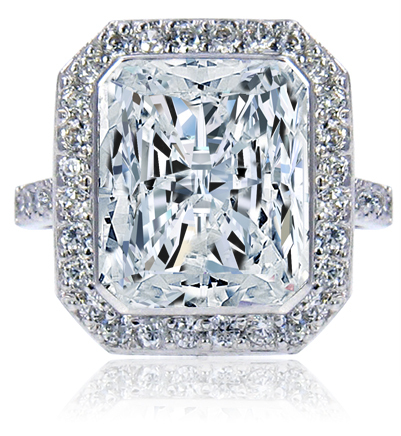 The brilliant 7 carat radiant emerald cut is hand cut and hand polished to exact diamond specifications with original Russian formula cubic zirconia and is set with a fine bezel that encases the center stone. 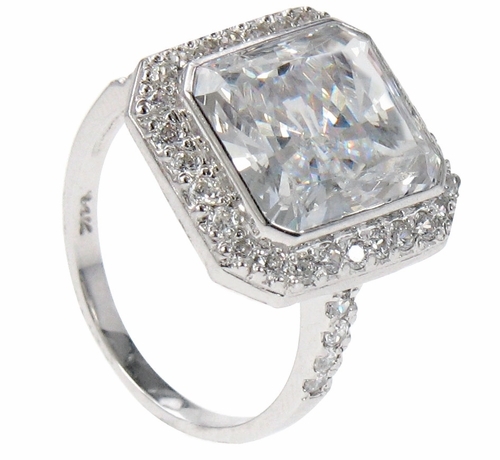 A single row of halo pave set round cubic zirconia further enhance the radiant emerald cut center stone and additional pave set rounds accent half way down both sides of the band. The band measures approximately 2.25mm. 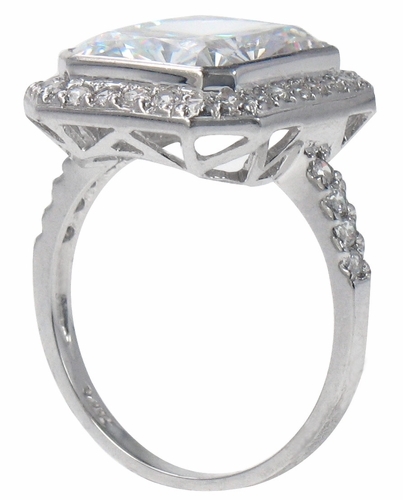 You can also custom order this ring in 14k yellow gold as well as precious Platinum via special order. This item is a clearance item. Due to extremely low pricing, all clearance items are a final sale.